The Minuteman Lumina 20" Burnisher is engineered for exceptional performance. Available in a Traction Drive model, this battery burnisher includes the exclusive patented PAMS (Passive Air Management System) Dust Control System which helps to reduce the need for dust mopping after burnishing. 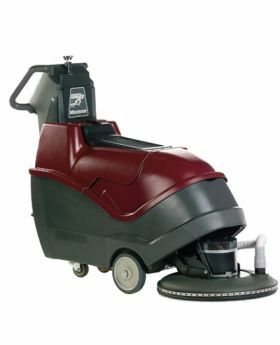 Features a 20" burnishing pad with pad driver speeds up to 2000 rpms to give a wet-look shine to floors. Ideal for environments that require a high productivity burnisher such as hospitals, hotels, schools, office buildings, and retail stores.